I wrote recently about how I wanted to see politics on the web through a friend lens on Sky News and now it’s great to see it in action on CNN. CNN’s the forum integrates Facebook Connnect so I can engage with CNN news, US political debate and see what my friends are voting. It came sixth in Mashable’s recent survey of 10 great implementations of Facebook Connect. In the illustration you can see my political badge (not that relevant as I am in the UK) and that of Dave Morin who has been heading up Facebook Connect since its announcement in May. Tip it! A tip jar for the social web? A successful micro payment solution, a way someone could give 30 pence to read a web page, has been a dream of web content publishers like the Economist, FT and so on since the dawn of the web. high relative transaction costs (PayPal) who wants to pay a bank 20 pence to handover 30 pence? people spend too much time thinking about the purchase – most people apply the same due diligence to all purchases they make, only varying slightly depending on the purchase price (if you are the type of person that buys the first suitable chocolate bar you see in a shop, you’re probably going to buy the first suitable house you see). But, in social media, like the rest of the web, there is still a demand by content producers (now singleton bloggers) to monetise their content. Charging a monthly subscription (the solution favoured by the traditional media brands) isn’t going to work as they simply don’t have enough content to warrant it. A newspaper provides thousands of content items a day, a blogger struggles to produce one a day. However, like the traditional “busker” a blogger can attract funds through tipping. Enter tipit.to a nice tipping service that I discovered on the home page of new Nudge developer, Cristiano Betta. The tool lets you create a tip fund (like £2) and then quickly give 50p here and there to bloggers when you appreciate their posts. If you haven’t got a fund together you can just pledge a tip until you have paid in enough to your fund. According to Reinier Zwitserloot, from Tip it, about 75% of pledges are already paid up and the average tip is 50p or $1. So who is using it? Well, take up is about 50% bloggers and 50% donation drives and service requests (like competitor service chipin). They are moving into providing the service for music artist pages, remember last year’s Radiohead tip jar approach to releasing an album. So, tipping is being used on the social web. However is it the finished product? For me to leave a tip, I really need the social pressure as when leaving a restaurant with friends (a cynic might say the real customers to whom I want to demonstrate my generosity ;o). Tipping on the web might work if my friends can see I’ve been to a site (mybloglog, facebook connect) but forgot to leave a tip… so for tipping to work on the social web we need to mash-up tipit with facebook connect. Toby just read your blog and left a tip of 50p…. that might encourage others to do the same. 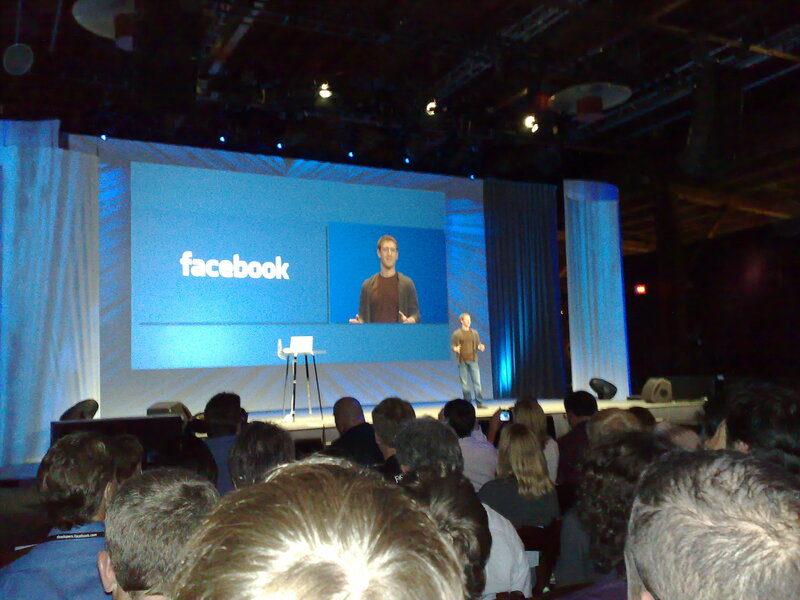 Facebook’s mega developer conference in San Francisco set the scene for the next 12 months of the social web. Mark Zuckerberg and team are setting the pace for how we interact with our friends online. A way of logging on to existing web sites with your Facebook account so bringing your details with you (photo, name etc) and seeing what your friends are up to on that web site (Facebook Connect) Read Om Malik on Why it matters and why Facebook will win for more. More improvements to the feed aggregation and story templates, new ways to view the feed – top stories, status updates, photos, posted notes and via the mini-profile. 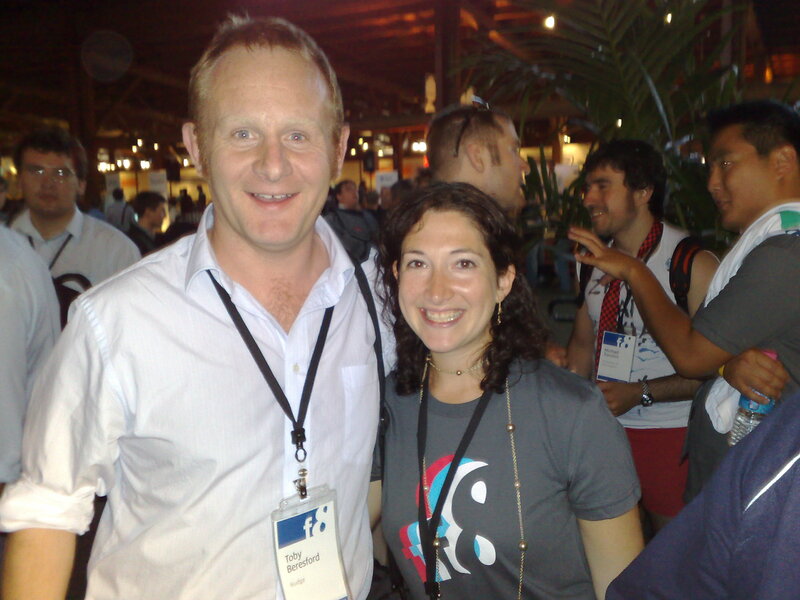 The feed is increasingly becoming central to the Facebook user experience – a bit as I predicted last year. Kontagent who have a really good tracking system for measuring cohort activity and A/B testing on Facebook apps. CourseFeed – who were getting 30%-40% take up of their app within universities – by first signing up the university who then made it available to students. Shows the power of facebook within an enterprise context. All in all, a useful conference: it was more to get inside the heads of the people building the platform, the sharing systems and how they are designing it. Understanding the thinking is very useful and will help me build better and more effective apps.